At the end of the year, as we prepare to dive into 2014, we are in the midst of what is, and what was, and what is to come. 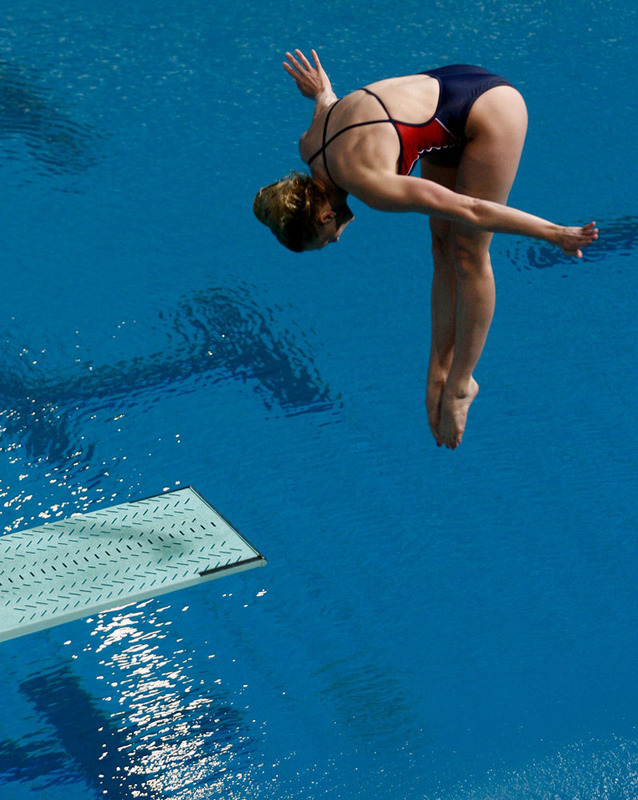 The photo shows an Inward dive which begins with the diver at the end of the springboard with her back to the water. The diver is facing backwards, but the end result is that she will be moving forwards. This is the position we find ourselves in: at the end of our springboards, facing backwards as we prepare to dive forwards. At the end of the year, most everyone, and athletes more than most, look backwards and forwards. We look back over the past year’s accomplishments and achievements, and forward to the coming year’s promises and potentials. Sports teams and athletes look back at what could have been, and look forward to what may well be. As believers, we should do the same. We should be well versed in the already and the not yet; what has happened and what is yet to occur. To know something backwards and forwards is an idiom which means “to be extremely well-informed about something.” As people of faith, we should be extremely well-informed about what God has done, what He is doing, and what He is about to do. Looking at past victories helps us to long for future triumphs. We must be well versed and “well informed” about something. And that something is our faith in God. We are to be “rooted and built up in him, and stablished in the faith” (Colossians 2:7), so that we can take root downward and bear fruit upward.